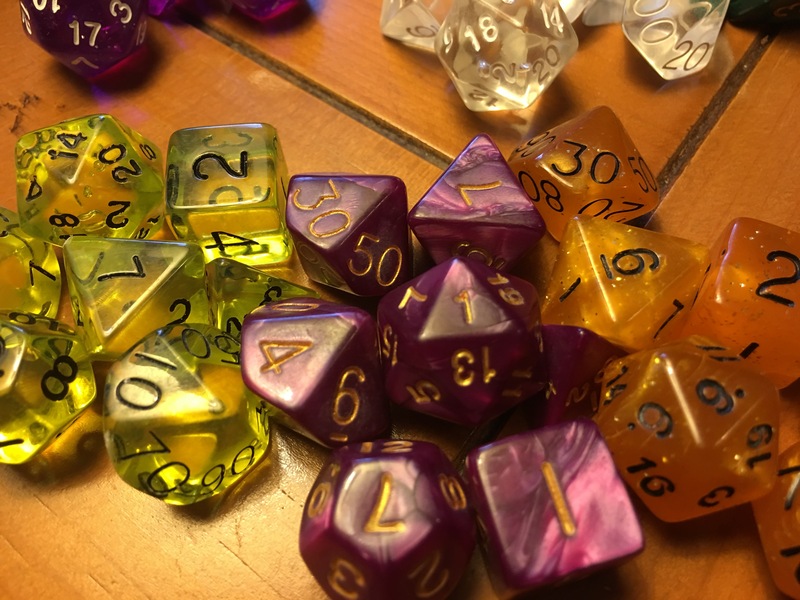 It was a bag of 105 dice in the amazing vibrant and uncommon colors that make up the “Alchemic Oddities” series of dice that I’ve had my eye on ever since Wiz Dice had a naming contest for the new colors. 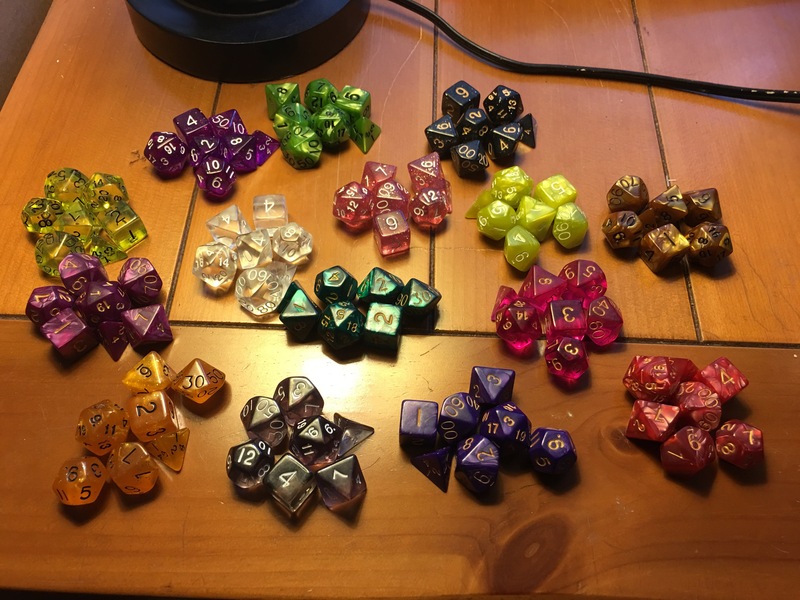 I’ve purchased a few bulk dice collections in the past like the Chessex Pound o Dice, and the first Wiz Dice collection of 100+ “random” dice. The Chessex dice had some really interesting dice, but were mostly just factory mistakes, some of which were d6s that were missing numbers and there was only one complete set of the same color. Not bad if you want a ton of random dice, but not great if you are looking for sets. I had seen other people’s accounts of ordering from Wiz Dice and receiving tons of complete sets with only a few odd dice out. 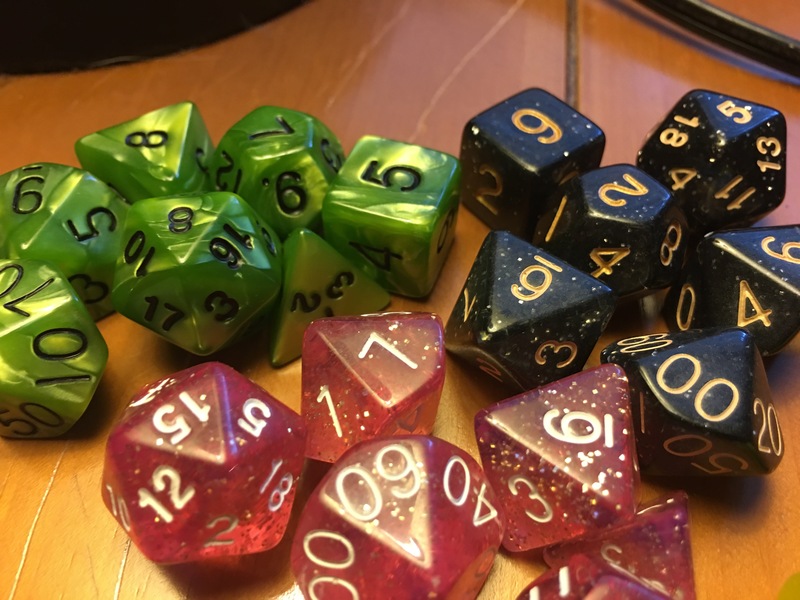 I was pleased to have a similar experience in that first set and now own just about every typical color of opaque dice, as well as some interesting marble-like and translucent colors. This most recent set has very unique colors with fan-suggested names like Dwarven Brandy, Faerie Fire, Boiled Bile, and Abyssal Mist. 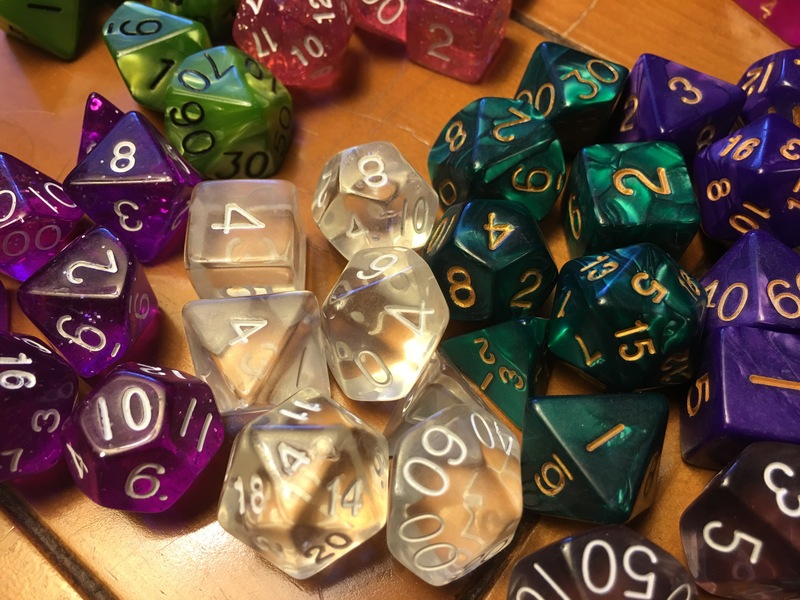 With this second set, I received 105 dice or 15 complete 7-dice sets for $26.34 shipped. That comes out to about $1.75 a set, and they are some of the coolest sparkly, marbled, vibrant colors I have ever seen. 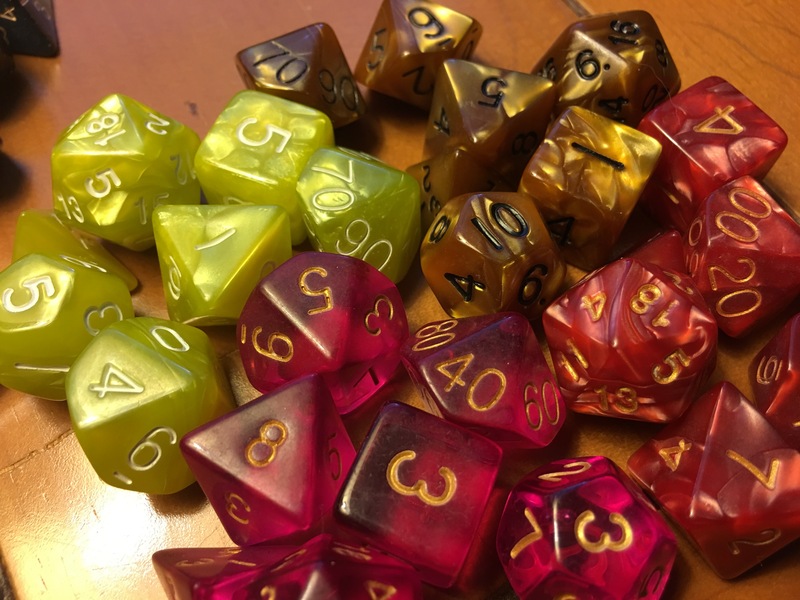 If you want specific colors, you can order individual sets at $7+shipping, or just let them pick for you and “roll the dice.” There is something for everyone in this set from oranges, neon yellow, pink, black sparkly, translucent grey, and a gorgeous marbled dark green they call Basilisk Blood. If you want a lot of unique awesome dice and you aren’t picky about colors, this is an awesome value. Highly recommended for people like me who can never have enough dice.